Rep. Sarah Davis defends Planned Parenthood in Texas: She's Republican. 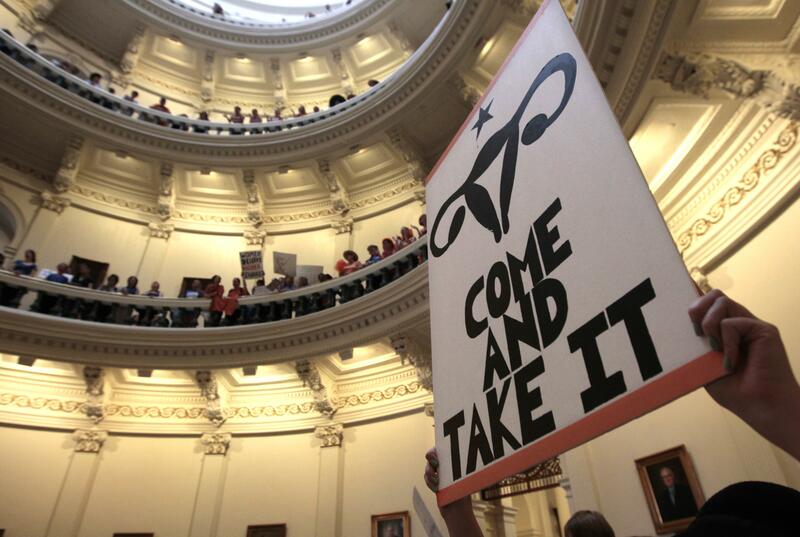 Pro-choicers rally in the Texas Capitol building in 2013. The proposal she’s speaking out against doesn’t exclude Planned Parenthood by name. What it would do is restructure the way the money in it is spent, requiring funds to go first to public-run health centers and then to private but generalized clinics. Private “specialty” clinics—basically places that specialize in gynecological care—would only get money if there is any left. Which there will probably not be. It’s an attempt to undermine family planning clinics, and Planned Parenthood in particular. The remarkable thing about this story is that it’s so remarkable. A few years ago, it wouldn’t have been a surprise to read about a Republican defending Planned Parenthood’s mission of providing affordable gynecological care. Less than a decade ago, Republicans mostly left Planned Parenthood alone. Sure, they didn’t love that it offered abortion, but since the bulk of its mission is providing low-cost contraception, STI testing, and other sexual health care, Republicans left it alone. The war on Planned Parenthood (and other family planning clinics) is a relatively recent invention, part of the larger escalation of attacks on reproductive health care generally, including attacks on insurance coverage of contraception, which also used to be noncontroversial within Republican ranks. The word abortion gets tossed around a lot to justify these escalating attacks on reproductive health care. That is true with this latest attack as well, with state Rep. J.D. Sheffield claiming he’s not out to take away cancer screenings but, “Now, of course, this issue is going to come down to abortion, abortion providers, that sort of thing.” But invoking abortion was already a thin excuse when the attacks were on contraception funding. It’s getting downright ridiculous now that the issue is cancer screenings.